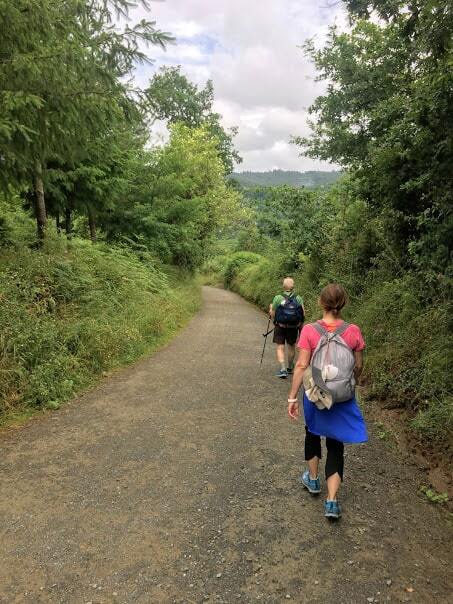 In late June 2018, we helped Philip Leonard, a professor at Arizona State University, embark on the Camino de Santiago with his two adult daughters. 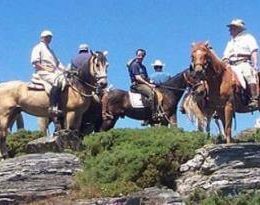 The trio chose the road less traveled – the Camino Primitivo – said to be the “Original Way” and the oldest of all the Camino routes. 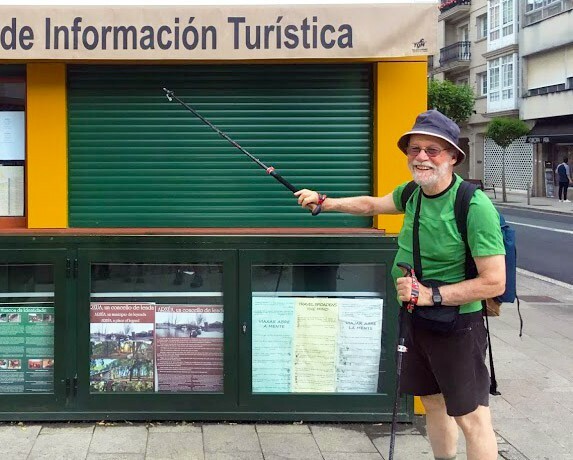 Phil shared his experience with us, from why he chose this Camino, his most cherished memories from his family adventure … as well as his sage advice to other pilgrims. Where did you first hear of the Camino, and when did you decide you wanted to walk it? My interest was sparked about six years ago by a Camaldolese monk, who teaches using his own extensive Camino experience as a metaphor for the spiritual journey. 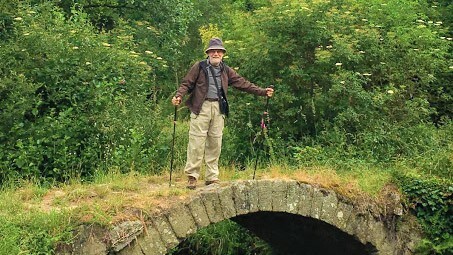 His intensity, and later his photos, began my thinking about the Camino. Enjoying travel, and never having been in Spain, I thought about possibly doing my own pilgrimage. It became a reality, and a family adventure, as two of our children joined me in putting a plan into motion. Somehow, we settled on the last 100 km of the Primitivo and began our preparations. Did you train for the Camino? If so, how? Would you recommend others train? It is important to prepare for the Camino, both physically and psychologically. The physical part is best addressed by walking. I think daily walking is best, being sure to include some long walks. I had the good fortune of a full day of walking on the Northern Camino (from Orena to Comillas) about two months prior to our trip. I also managed a few walks of about 8 miles near home between then and our journey. These long walks are important. The psychological aspect can include some web surfing, learning bits of history and geography connected with the trip. In my case this was helped by some travel in Northern Spain two months prior, during which we visited some Camino landmarks. What’s your best memory from your Camino journey? Certainly it was not a single experience, but the joy of doing the trek with two of my children, that stands out. Our walking paces, and our sense of enjoyment along the way, were quite similar, and we made a great team. 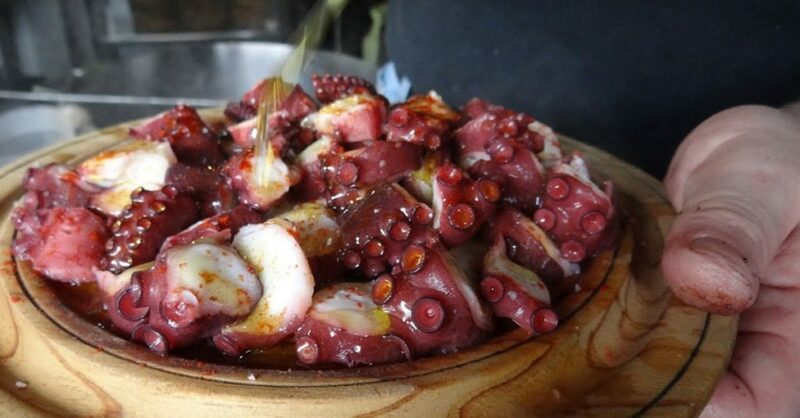 What was the best food you ate on the Camino? Our breakfasts and dinners along the way were provided at our lodgings as part of our self-guided tour. These featured great variety, including one wonderful farm-to-table meal near Arzua. In Lugo, our starting point, we can recommend Bullo Xantar in Rua da Cruz. In Santiago, very good local food can be found at O Dezaseis, along Rua de San Pedro, just before your entry into Santiago. My daughters enjoyed comparing the various tortillas along the way and relished the pulpo Gallego in Melide. What was your favourite aspect of the Camino? Walking through the pastoral countryside, with many farms and their dry stone architecture, was quite wonderful. Together with fine long views, small old villages, and the camaraderie of fellow pilgrims, the journey was splendid indeed. The culmination in Santiago sealed the deal – a fine medieval city alive with the spirit of the Camino. Did the Camino meet your expectations? Yes, indeed. It was memorable in every respect. What tips would you give to new pilgrims? I would repeat the advice a Canadian pilgrim gave a few months before our trip: “Walk within yourself.” Take care of yourself, stop for rest or refreshment when it is time, and let the Camino take its own shape according to your needs. Would you walk the Camino again? Yes; and I think there will be future visits by members of my family. Our group of three would be delighted to share the experience with the next generation as well.